9. 25% discount la toate licențele individuale de pe site ! -Added Option Read Flash AirBag Toyota/Lexus H8SX (R5F617xx) Flash by CAN (ECU conector). In the new version of the Abrites Diagnostics for Renault/ Dacia Online you will be able to see our progress in terms of diagnostics. We have an outstanding new diagnostic platform which allows us to perform diagnostics for Renault and Dacia vehicles at a level higher than the OEM software. - Data display in real time. - Simultaneous display of multiple modules. - All of this and a lot more now available for all customers with a valid AMS. All customers with a valid AMS will receive an update via the online software automatic update option, no need to download, the next time you start the software you will already have the update. In this version you will now have the advantage of receiving support for the ISTA-P version 66.2. This is the latest possible version and everyone with a valid AMS now has access to it! NEW FEM/ BDC MODULES NOW SUPPORTED for KEY PROGRAMMING! Exclusively for AVDI Customers with BN013 and a valid AMS! No other tool can do the latest FEM/ BDC! It means that you will have less and less unsupported versions and you will be able to do cars that have been programmed in a BMW workshop even after the beginning of 2019. ISTA version 66 is the latest one available and you now have access to work on the cars with it!!! Abrites diagnostics for Mitsubishi version 3.7 now provides full support for mechanical key programming and PIN code reading. The new version supports virtually every Mitsubishi car with a mechanical key. - Mechanical key PIN reading. Total improvement on the key programming for the latest models. Keyless Volvo Hitag 2 keys supported! NO WAITING! With version 6.1 of the Abrites diagnostics for Volvo we can now perform key programming of keyless go keys with or without working keys without waiting. If we have a dump of the KVM module we can load this dump and program a keyless go key immediately. - BOSCH EDC17/ MED17 ECU cloning. Supported models up to 2018-2019. - BOSCH EDC17/ MED17 ECU checksum calculation. - Numerous improvements for all brands with reading and writing. The ABRITES ENGINE CONTROL UNIT PROGRAMMING TOOL improves every day and we can see the results of the hard work of our team. Soon everyone who has the needed licenses will be able to use the new features of the ECU tool. Abrites NEW PRICES and functions !!! Mercedes MN028 Special function Include Mileage calibration + TV ECU MANAGER 600 EURO + TVA !!! In perioada 3 - 11 Februarie comenzile efectuate pentru produse ce necesita expediere prin curier vor fi procesate din data de 12 februarie. Comenzile pentru licente SMOK sau AVDI sunt procesate fara intarzieri in maxim 24 ore! Suportul pentru produse sau alte probleme este disponibil pe email sau whatsap! Abrites ENGINE CONTROL UNIT Programming Tool. - Our new ECU tool incorporates all our BOOT MODE reading, writing and updating in one tool under one software. - Everyone else will be able to get the new function for BOOT MODE by buying the EP001 special function. - The new tool works perfectly with the help of the ZN051 Distribution box. Some really useful features for Abrites Diagnostics for VAG in version 35.1. - Apart from that you will see the new updates and improvements on key programming available for the existing cars which were already supported. - Increased PIN reading speed. - Improved communication while programming keys. - Repair DPF after cluster calibration is now supported for all models. - Thousands of new actuators added. - New coding features - fast coding and regular features. - Flashing of modules with our database and your own files. - New Routine Tests added - easy procedure, step-by-step guide. - New Actuator Tests. Monitor live values while testing actuators. - Adjustments and Calibrations. With this feature you can perform module adjustment and calibrations. - Overall you can see over 900000 new adjustments and calibrations for all Mercedes vehicles. All of this is FREE if you have an AVDI and AMS. Read/Write Flash In circuit conection! JTAG : TMS 370: PLC28, PLCC44, PLCC68 Licenta inclusa in full pack promo ! ATTENTION/ NOTE: To read, the processor requires desoldering and inserting into the TMS370 adapter. The TMS370 adapter is not included in the price of the license. It needs to be purchased separately. - Added support for mileage recalibration of Renault Talisman/Megane IV VDO Dashboard 2017+. - Renault Kangoo II and Clio III key programming improved. - Engine adaptations for Megane III/Scenic III/Laguna III improved. - Bosch ABS odometer recalibration unexpected data error can now be fixed. EMS3125, EMS3150, EMS3155 , soft not calculate chescksums). We are happy to inform that the cars that were previously unsupported for EZS (EIS) password extraction will be available in version 10.8 of the Abrites Diagnostics for Mercedes. We can now extract a password and program keys to the previously hardest cars to do. - Password extraction for the W220/ W215/ R230 (W230) (1998 - 2005). EVEN FOR ALL KEYS LOST. - Password extraction for the W221/ X164 (W164)/ W251/ W216 before the facelift (2005 - 2007). EVEN FOR ALL KEYS LOST. - Easy procedure, simple to use and very quick. Abrites Diagnostics for BMW/ Mini Online version 31.7 now provides support for the BMW Motorcycles (BMW Motorrad) and BMW scooters: - Complete OEM and higher level of diagnostics: - Reading and clearing DTCs with the ability to show causes and possible fixes. - Full DTC details with descriptions. - Actuator testing and activation. - Live values in table or graph mode. - Simultaneous use of Actuators and live value monitoring - Key programming for BMW Motorcycles and scooters using HITAG 2, DST 80 and DST AES keys for example: S1000RR; BMW K19 - C600 and C650; BMW GS1200/ GS1200R; K and F series (K1300 and F800) commonly known as XEWS4 type. - Reading and clearing DTCs with the ability to show causes and possible fixes. - Full DTC details with descriptions. - Actuator testing and activation. - Live values in table or graph mode. - Key programming for BMW Motorcycles and scooters using HITAG 2, DST 80 and DST AES keys for example: S1000RR; BMW K19 - C600 and C650; BMW GS1200/ GS1200R; K and F series (K1300 and F800) commonly known as XEWS4 type. They use DST80 transponders so you can use the Abrites TA17 as a key.BMW R1200GS using a handsfree unit (Keyless go system) X_SLZ/ HUF. These use a DST AES type of key and others. - Module replacement for BMW Motorcycles and scooters. - Coding and Programming for BMW Motorcycles and scooters. Programming of flashes in the modules. Customisation for various modules according to the customer's requests. *Special function BN010 is required for key programming. 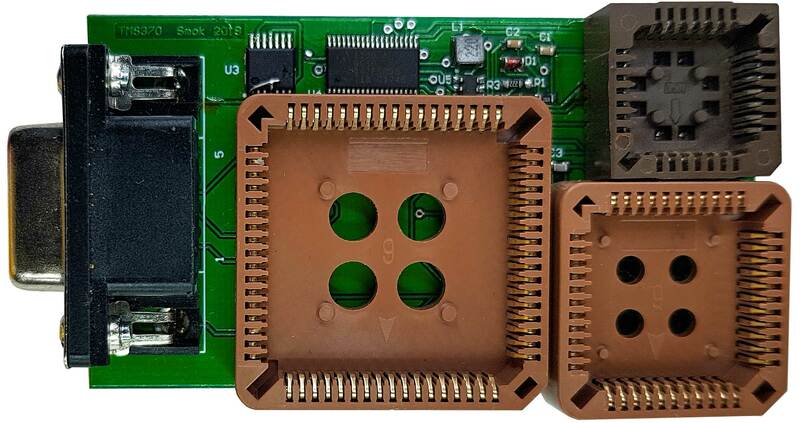 * Special function BN012 is required for module replacement.